My mother used to warn me to keep my fingers out of the mixing bowl. There are raw eggs, she'd say while playfully slapping my hand away with a spatula. You'll get sick. Even though she had my best interest at heart, I wasn't very good at listening. When her back was turned, I'd swipe a finger through the brownie batter or pinch off a piece of cookie dough, quickly hiding the evidence between my lips. 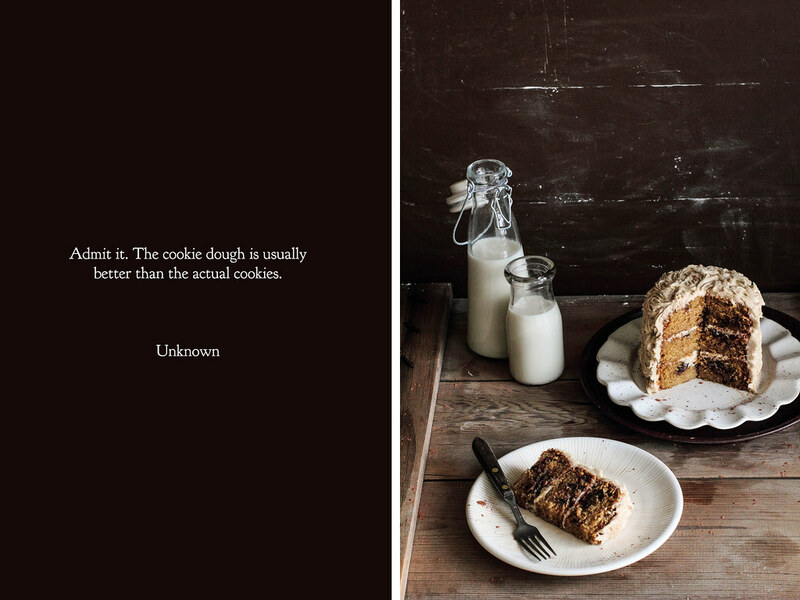 The taste of the raw dough from my favorite cookies and cake outweighed the warnings my mother gave, each and every time. After eating raw batter for the better part of 25 years (and having yet to get sick), I cannot say my habit of licking the spatula clean has gotten much better. However, I am a bit more careful about the batter I choose to eat. When I'm craving a bit of cookie dough, I'll make a batch without eggs so I can sneak as much as I'd like. A few years ago, I slipped a little cookie dough into a batch of cupcakes that was headed to the oven. The result was unique, but no less delicious than the sum of its parts. 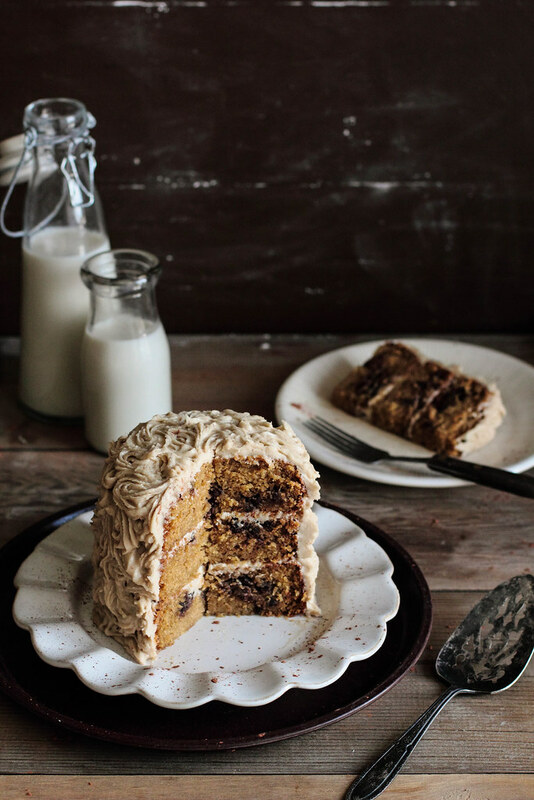 The memory of those long ago cupcakes were the inspiration for this cake. Real cookie dough is cut into small pieces and spread throughout the batter. 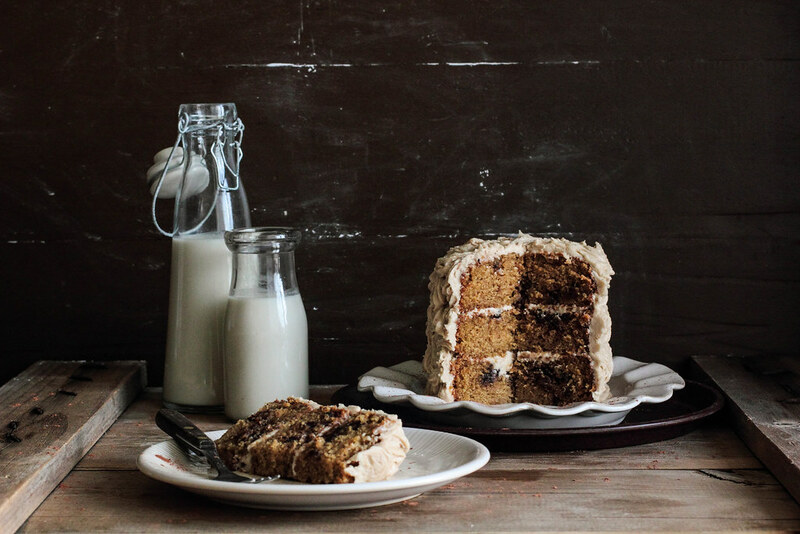 As the cake itself tastes like cookie batter, the finished product becomes a texture playground, alternating between light cake and dense cookie dough. 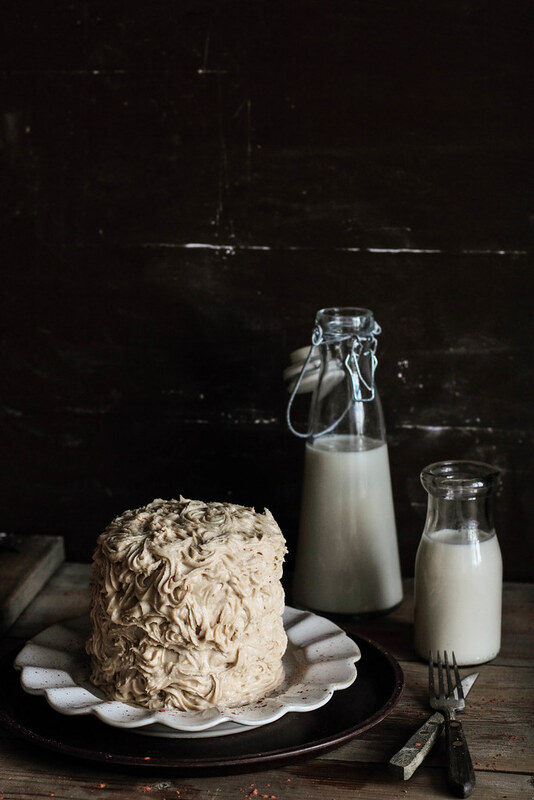 It's a fun, sweet cake that begs for a glass of milk. As a side note, I'll be taking a break from blogging for the next month to deal with medical issues, move across state lines, and begin a new job. With so much going on all at once, I need to step away from the kitchen and concentrate on other things for awhile. Even though I'll be gone, I won't let this space go quiet. I have asked a handful of my favorite bloggers to share their own recipes with you. Each week you'll meet a new face and have the opportunity to try out a sweet treat or savory dish. I have a feeling you'll fall in love with their words and photography as I did. 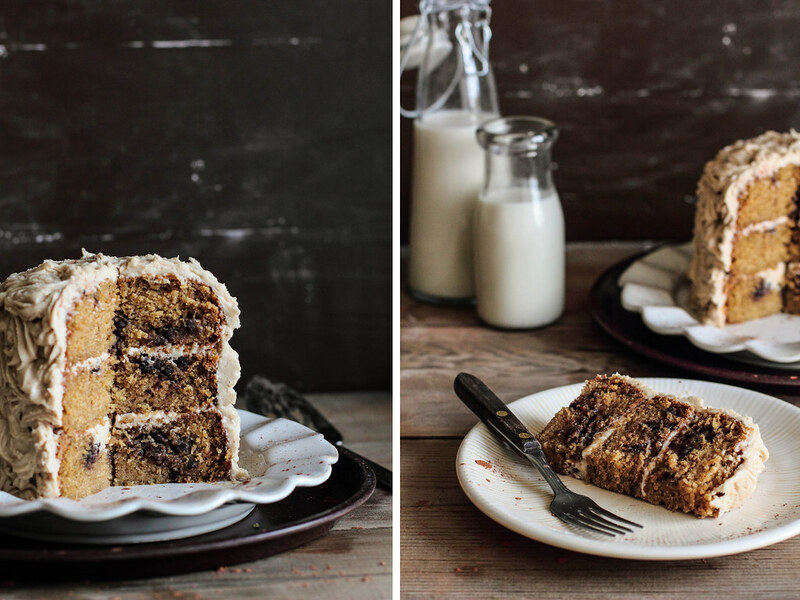 This Cookie Dough Cake with Brown Sugar Buttercream is where chocolate chip cookies meet cake. 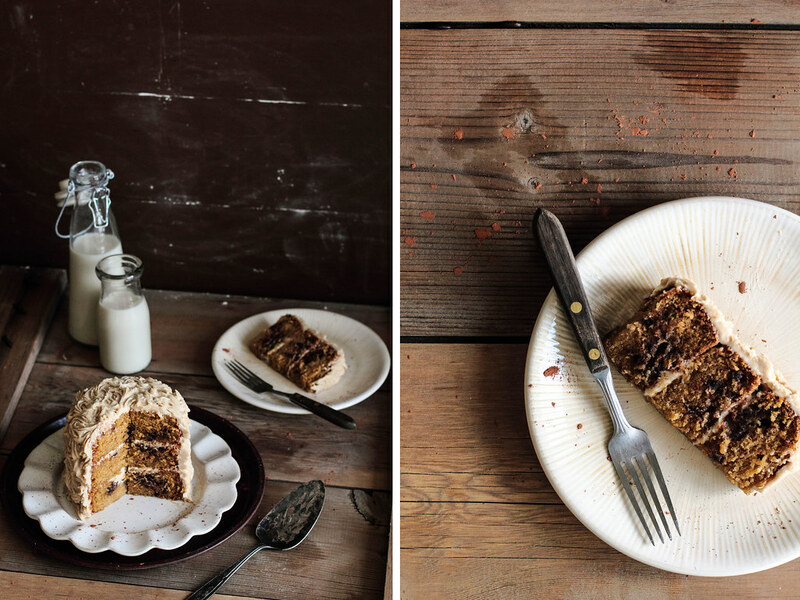 The cake is made with brown sugar to give it the taste of cookie batter. Small pieces of cookie dough are mixed into the batter, giving the cake a unique texture that's somewhere between a cake and cookie dough. While the cake is more dense than usual from the cookie dough, it has the undeniable taste and texture of sneaking a finger full of batter from the bowl. 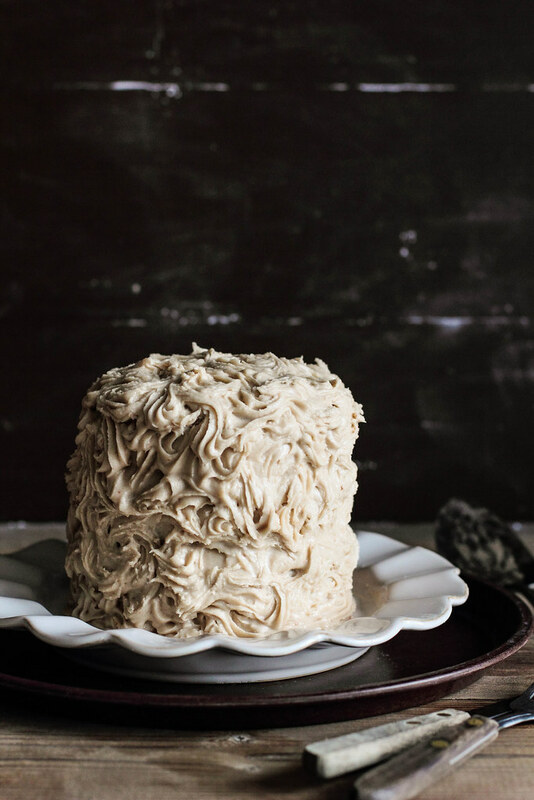 While the brown sugar frosting is optional, it can work as a nice complement to the cake when spread in a thin layer.